Our Mediterranean Pons Avarcas in Sand are sure to become a wardrobe favorite. An easy-to-wear neutral that looks great with dresses, jeans, and skirts, these sandals offer both style & comfort. 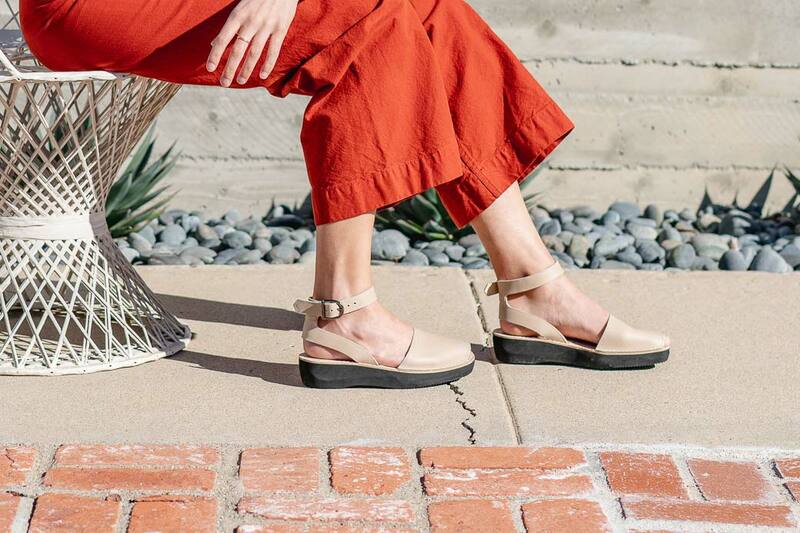 Handcrafted in Menorca, Spain by local artisans, these durable & versatile Avarca sandals are made with the finest all-natural full grain leather, have an ankle strap with a buckle closure for a secure fit, and feature a 1.5 inches (3.80 cm) lightweight platform sole.